Dia de los niños- Dia de los libros/ Children's Day- Book day is tomorrow April 3o. Visit your local library and find out about their celebrations for Dia. While you are there, check out books and read them with your children. Have a wonderful reading! 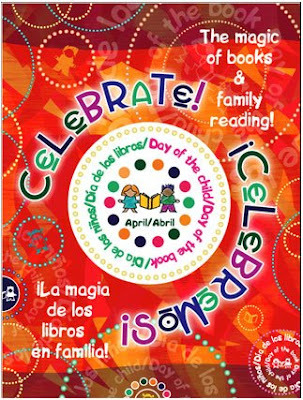 Children’s Book Day, or Día de los Niños, Día de los Libros, will be celebrated with special programs at the Main Library on Thursday, April 30 in Inglewood. Children’s book authors Amada Irma Pérez and René Colato Laínez will present at this event which will also include crafts, refreshments, raffles, and book prizes. Día de los Niños, Día de los Libros / Children’s Book Day is known throughout the country as a celebration of children and families. With its origins in the first World Conference for the Well-Being of Children held in Geneva, Switzerland in 1925, Día de los Niños, Día de los Libros / Children’s Book Day is celebrated throughout the world. Mexico has a tradition of celebrating Día on April 30; in many cities of the United States, it is celebrated on a day during the month of April. This year’s program features children’s book authors Amada Irma Pérez and René Colato Laínez. Amada Irma Pérez is an award-winning author and speaker, and a leading advocate of programs that encourage multicultural understanding. Her books My Very Own Room/ Mi propio cuartito; My Diary from Here to There/ Mi diario de aquí hasta allá; and Nana’s Big Surprise/ Nana, ¡Qué Sorpresa! 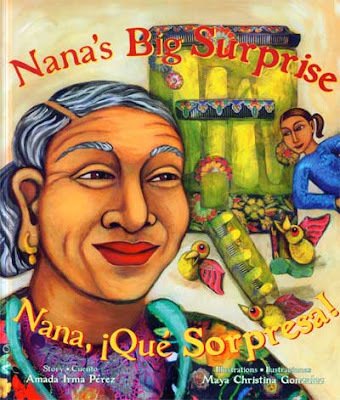 are critically acclaimed and have been honored by several major Latino awards in children’s literature, including the American Library Association’s Pura Belpré Award, the Tómas Rivera Mexican American Children’s Book Award, and the América’s Award. Born in Mexicali, Mexico, and raised mostly in California, Amada Irma finds joy in sharing her books with readers of all ages during her visits to schools, libraries and conferences across the country. 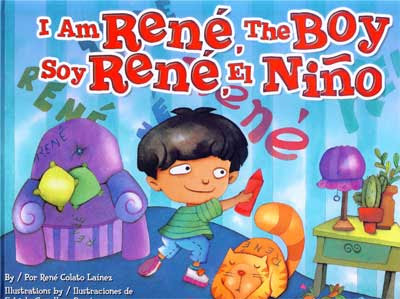 Known by his students as “the teacher full of stories,” René Colato Laínez is the Salvadorean author of several bilingual picture books including I am René, the Boy/ Soy René, el niño (Piñata Books); Waiting for Papá/ Esperando a papá (Piñata Books), and Playing Lotería/ El juego de la lotería (Luna Rising). He is the recipient of the Latino Book Award’s Best Bilingual Children’s Book and the New Mexico Book Award for Best Children’s Book. He writes for the Spanish-language magazine Revista Iguana and is a weekly children’s literature columnist for LA BLOGA (labloga.blogspot.com). René is a bilingual elementary teacher at Fernangeles Elementary School in Los Angeles. For additional information on the authors, please see www.renecolatolainez.com and www.amadairmaperez.com.